I’m not above admitting it. I’m more than just a bit painful when it comes to painted versus printed dials. “Is this painted or printed?” is a question I’ve asked countless times. Receiving countless eye-rolls, I might add. And, full disclosure, I’ve always assumed that the colour, paint volume and line-perfect proportions of Franck Muller dials are the latter. Printed. 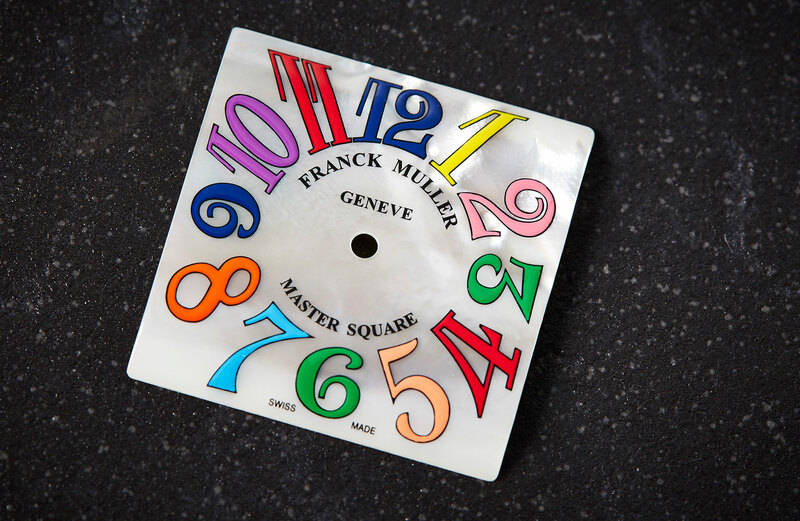 But when I attended the Franck Muller ‘chalet’ (such a more appropriate descriptor than ‘manufacture’) for a second time, early in 2017, I asked the question and was met with a very different answer, which also happened to be a question. “They’re painted,” said my soon-to-be nemesis from Franck Muller, Laura Bondi. “Would you like to try painting one yourself?” Sure, but only if she tried to paint one too. The next hour of my life taught me a lot about the extraordinary skill required to make the watches we love — mostly by showing me how ordinary my own skills are in comparison.